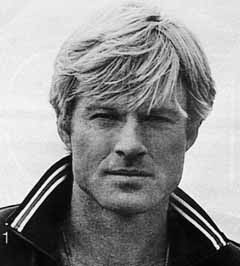 Charles Robert Redford Jr. (born August 18, 1936), better known as Robert Redford, is an American actor, film director, producer, businessman, model, environmentalist, philanthropist, and founder of the Sundance Film Festival. He has received two Oscars: one in 1981 for directing Ordinary People, and one for Lifetime Achievement in 2002. 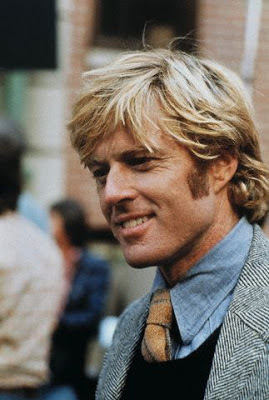 Redford was born in Santa Monica, California, the son of Martha W. (née Hart) and Charles Robert Redford Sr. (November 19, 1914 – April 2, 1991), a milkman-turned-accountant from Pawtucket, Rhode Island. He has a half-brother, William, from his father's re-marriage. 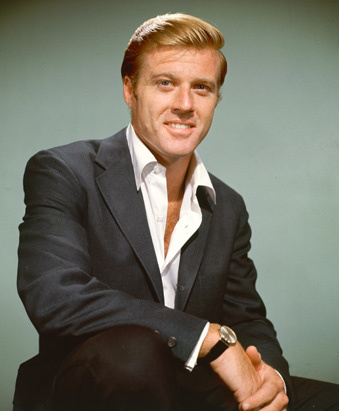 Redford is of English and Scots-Irish ancestry. 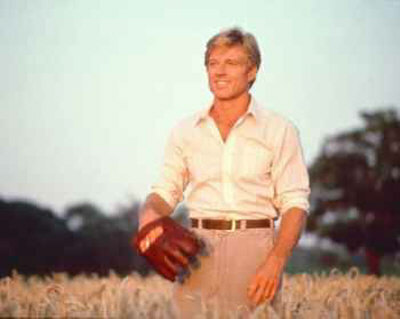 Redford attended Van Nuys High School in Los Angeles, California, where he was classmates with Don Drysdale, and was a teammate on the Van Nuys High School baseball team with Drysdale. He graduated in 1954 and received a baseball scholarship to the University of Colorado, where he was a pitcher and a member of the Kappa Sigma Fraternity. While there, he worked at the famous restaurant/bar The Sink. He lost the scholarship due to excessive drinking, possibly fueled by the death of his mother, which occurred when Redford was 18. He later studied painting at the Pratt Institute in Brooklyn and took classes in theatrical set design at the American Academy of Dramatic Arts in New York City. On August 9, 1958, in Las Vegas, Nevada, Redford married Lola Van Wagenen, who dropped out of college to marry him. They had four children: David James "Jamie", Shauna, Amy Redford, and Scott Anthony Redford. Scott – their first child – was born September 1, 1959, and died of sudden infant death syndrome on November 17, 1959, at age 2½ months. He is buried at Provo City Cemetery in Provo, Utah. Lola and Robert divorced in 1985. He has five grandchildren: Dylan and Lena Redford (of son Jamie), Mica and Conor Schlosser (of daughter Shauna) and Eden August (of daughter Amy). In July 2009, Redford married his longtime partner, Sibylle Szaggars, at the luxurious Louis C. Jacob Hotel in Hamburg, Germany. She had moved in with Redford in the 1990s and shares his Sundance, Utah, home. 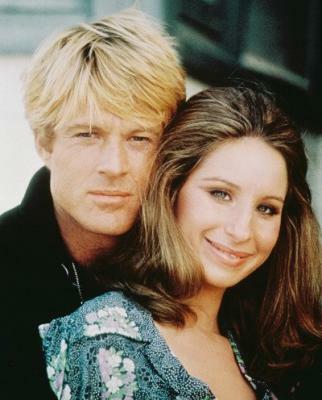 Redford's career – like that of almost all major stars who emerged in the 1950s – began in New York, where an actor could find work both in television and on stage. Starting in 1959, he appeared as a guest star on numerous programs, including The Untouchables, Whispering Smith, Perry Mason, Alfred Hitchcock Presents, Route 66, Dr. Kildare, Playhouse 90, Tate and The Twilight Zone, among others. He earned an Emmy nomination as Best Supporting Actor for his performance in The Voice of Charlie Pont (ABC, 1962). One of his last television appearances was on October 7, 1963, on Breaking Point, an ABC medical drama about psychiatry. 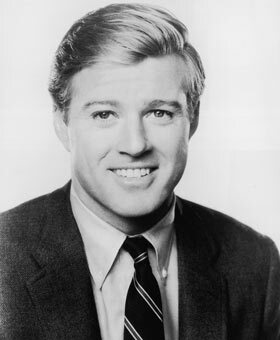 Redford's Broadway debut was in a small role in Tall Story (1959), followed by parts in The Highest Tree (1959) and Sunday in New York (1961). His biggest Broadway success was as the stuffy newlywed husband of Elizabeth Ashley in Neil Simon's Barefoot in the Park (1963). Redford in Barefoot in the Park. 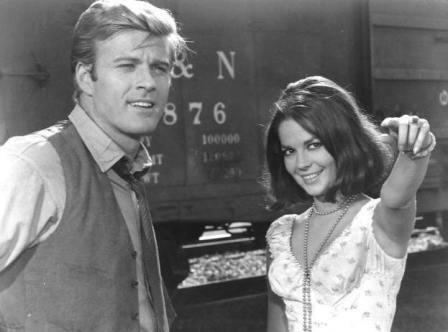 While still largely an unknown, Redford made his screen debut in War Hunt (1962), co-starring with John Saxon in a film set during the last days of the Korean War. This film also marked the debuts of Sydney Pollack and Tom Skerritt. After his Broadway success, he was cast in larger feature roles in movies. 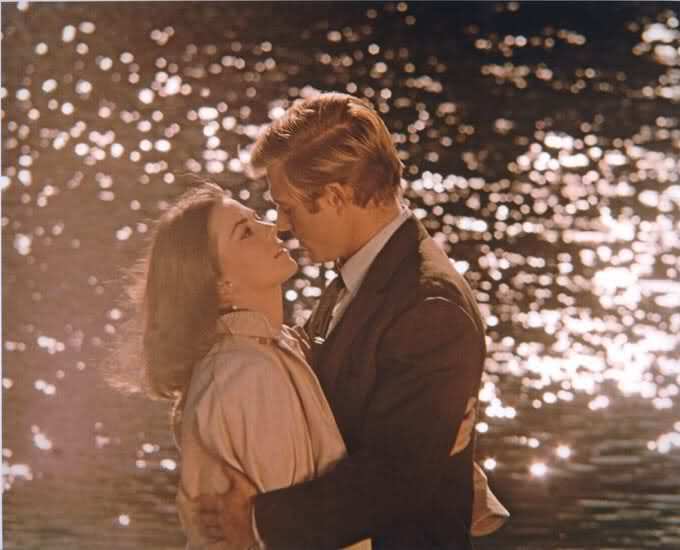 In Inside Daisy Clover (1965) he played a bisexual movie star who marries starlet Natalie Wood, and rejoined her for Pollack's This Property Is Condemned (1966) — again as her lover. The same year saw his first teaming with Jane Fonda, in Arthur Penn's The Chase. 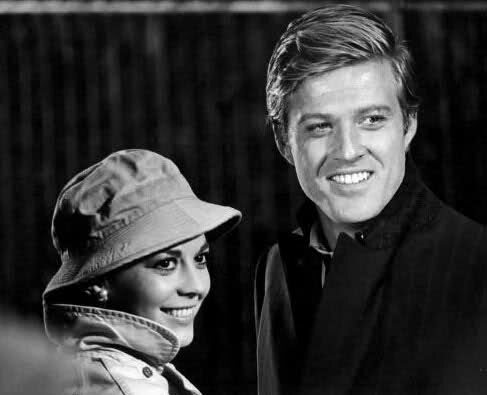 Fonda and Redford were paired again in the big screen version of Barefoot in the Park (1967) and were again co-stars in Pollack's The Electric Horseman (1979). 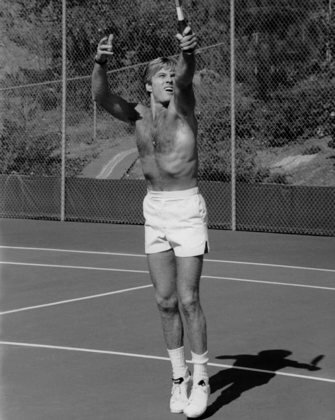 Redford became concerned about his blond male stereotype image and turned down roles in Who's Afraid of Virginia Woolf? and The Graduate. Redford found the property he was looking for in George Roy Hill's Butch Cassidy and the Sundance Kid (1969), scripted by William Goldman, in which he was paired for the first time with Paul Newman. The film was a huge success and made him a bankable star and cemented his screen image as an intelligent, reliable, sometimes sardonic good guy. 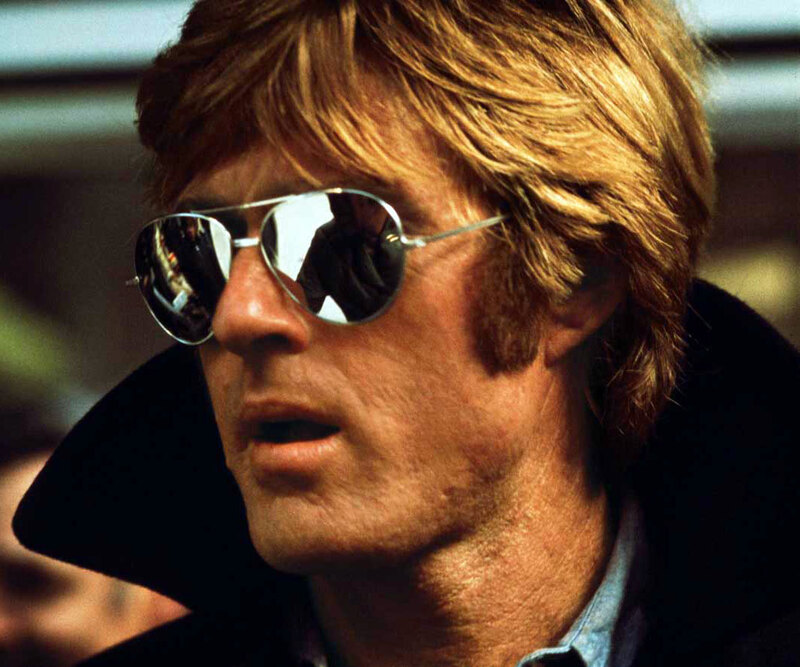 Redford suffered through a few films that did not achieve box office success during this time, including Downhill Racer (1969); Tell Them Willie Boy Is Here (1969); Little Fauss and Big Halsy (1970), and The Hot Rock (1972). 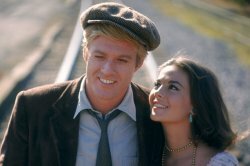 But his overall career was flourishing with the critical and box office hit Jeremiah Johnson (1972); the political satire The Candidate (1972); The Way We Were (1973); and The Sting (1973), for which he was nominated for an Oscar. During the years 1974-76, exhibitors voted Redford Hollywood's top box-office name. 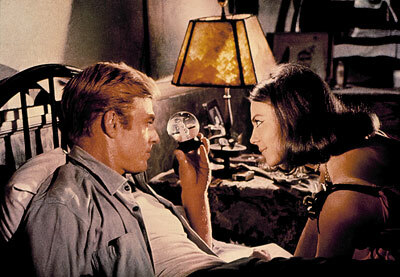 His hits included The Great Gatsby (1974), The Great Waldo Pepper (1975), and Three Days of the Condor (1975). The popular and acclaimed All the President's Men (1976), directed by Alan J. Pakula and scripted once again by Goldman, was a landmark film for Redford. Not only was he the executive producer and co-star, but the film's serious subject matter – the Watergate scandal – also reflected the actor's offscreen concerns for political causes. He also starred in the war film A Bridge Too Far (1977), and the baseball film The Natural (1984). 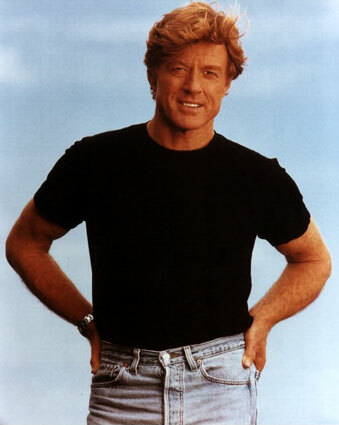 Redford has continued his involvement in mainstream Hollywood movies, though projects became fewer. Out of Africa (1985) was where he made it to the nominations to the Oscars. He appeared as a disgraced Army general sent to prison in the political thriller The Last Castle (2001), directed by Rod Lurie, someone else with a strong interest in politics. Redford, a leading environmental activist, narrated the IMAX documentary Sacred Planet (2004), a sweeping journey across the globe to some of its most exotic and endangered places. In The Clearing (2004), a thriller co-starring Helen Mirren, Redford was a successful businessman whose kidnapping unearths the secrets and inadequacies that led to his achieving the American Dream. Redford stepped back into producing with The Motorcycle Diaries (2004), a coming-of-age road film about a young medical student, Ernesto 'Che' Guevera, and his friend Alberto Granado. It also explored political and social issues of South America that influenced Guevara and shaped his future. 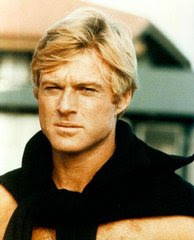 With five years spent in the film's making, Redford was credited by director Walter Salles for being instrumental in getting it made and released. 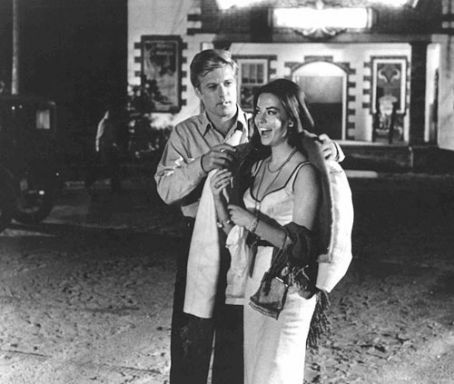 Back in front of the camera, Redford received good notices for his role in director Lasse Hallstrom's An Unfinished Life (2005) as a cantankerous rancher who is forced to take in his estranged daughter-in-law (Jennifer Lopez) — whom he blames for his son's death — and the granddaughter he never knew he had when they fled an abusive relationship. The film, which sat on the shelf for many months while its distributor Miramax was restructured, was generally dismissed as clichéd and overly sentimental. Meanwhile, Redford returned to familiar territory when he signed on to direct and star in an update of The Candidate. Redford at the 1988 Cannes Film Festival. Redford had long harbored ambitions to work on both sides of the lens. 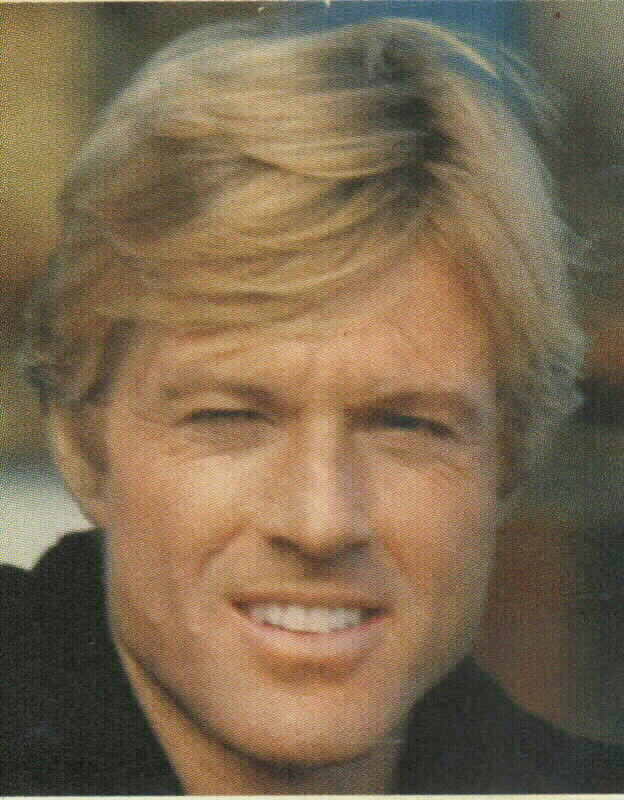 As early as 1969, Redford had served as the executive producer for Downhill Racer. His first outing as director was in 1980's Ordinary People, a drama about the slow disintegration of an upper-middle class family, for which he won the Academy Award for Best Director. Redford was credited with obtaining a powerful dramatic performance from Mary Tyler Moore, as well as superb work from Donald Sutherland and Timothy Hutton, who also won the Oscar for Best Supporting Actor. Redford did not direct again until The Milagro Beanfield War (1988), a well-crafted, though not commercially successful, screen version of John Nichols' acclaimed novel of the Southwest. The Milagro Beanfield War is the story of the people of Milagro, New Mexico (based on the real town of Truchas, in northern New Mexico) overcoming big developers who set about to ruin their community and force them out because of tax increases. Other directorial projects have included the period family drama A River Runs Through It (1992), based on Norman Maclean's novella, and the exposé Quiz Show (1994), about the quiz show scandal of the late 1950s. Redford worked from a screenplay by Paul Attanasio with noted cinematographer Michael Ballhaus and a strong cast that featured John Turturro, Rob Morrow, and Ralph Fiennes. 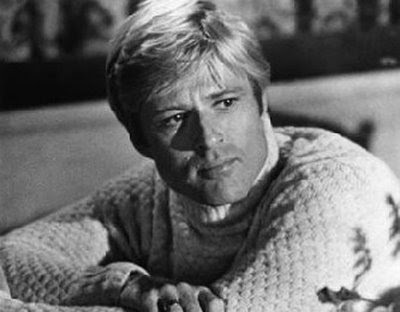 Redford handpicked Morrow for his part in the film (Morrow's only high-profile feature film role to date), because he liked his work on Northern Exposure. Redford also directed Matt Damon and Will Smith in The Legend of Bagger Vance (2000). Beside his directing and producing duties, Redford continued acting. He played opposite Meryl Streep in Sydney Pollack's Oscar-winning Out of Africa, Michelle Pfeiffer in the newsroom romance Up Close & Personal, and Kristin Scott Thomas in The Horse Whisperer, which he also directed. Redford also continued work in films with political context, such as Havana (1990), Sneakers (1992), Spy Game (2001), and Lions for Lambs (2007). He attended the University of Colorado in the 1950s and received an Honorary Degree in 1983. 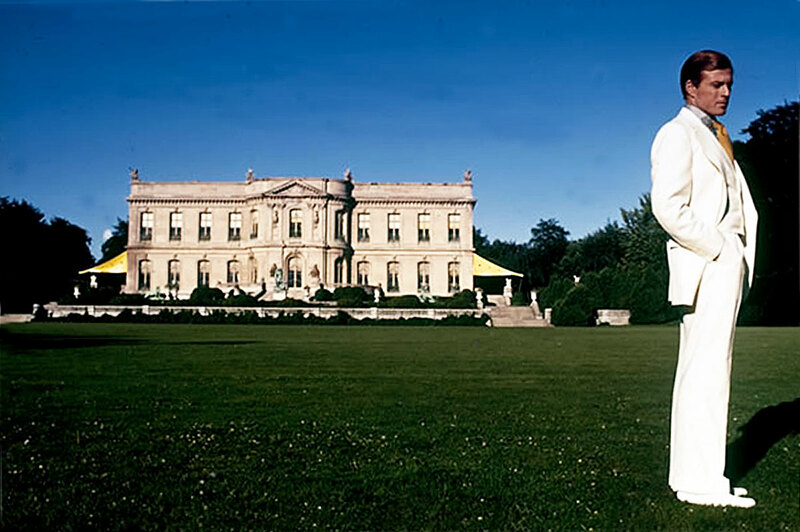 In 1995, Redford received an honorary Doctor of Humane Letters degree from Bard College. He was a 2002 Lifetime Achievement Award/Honorary Oscar recipient at the 74th Academy Awards. In December 2005, he received honors at the Kennedy Center for his contributions to American culture. The Honors recipients are recognized for their lifetime contributions to American culture through the performing arts: whether in dance, music, theater, opera, motion pictures or television. In 2008 he was awarded The Dorothy and Lillian Gish Prize, one of the richest prizes in the arts, given annually to "a man or woman who has made an outstanding contribution to the beauty of the world and to mankind’s enjoyment and understanding of life." The University of Southern California (USC) School of Theater announced the first annual Robert Redford Award for Engaged Artists in 2009. According to the school's web site, the award was created "to honor those who have distinguished themselves not only in the exemplary quality, skill and innovation of their work, but also in their public commitment to social responsibility, to increasing awareness of global issues and events, and to inspiring and empowering young people." Robert Redford received an honorary Doctor of Fine Arts from Brown University at the 240th Commencement exercises on May 25, 2008. He also spoke during the ceremonies. On 14th October 2010, he was appointed Chevalier of the Légion d'honneur. With the financial proceeds of his acting success, starting with his salaries from Butch Cassidy and the Sundance Kid and Downhill Racer, Redford bought an entire ski area on the east side of Mount Timpanogos northeast of Provo, Utah called "Timp Haven," which was renamed "Sundance". 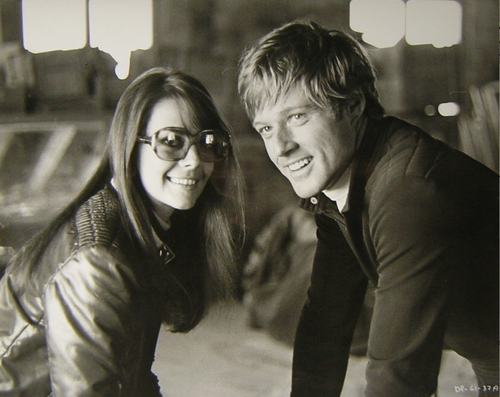 Redford's wife Lola was from Utah and they had built a home in the area in 1963. Portions of the movie Jeremiah Johnson (1972), a film which is both one of Redford's favorites and one that has heavily influenced him, were shot near the ski area. He founded the Sundance Film Festival, Sundance Institute, Sundance Cinemas, Sundance Catalog, and the Sundance Channel, all in and around Park City, Utah, 30 miles (48 km) north of the Sundance ski area. The Sundance Film Festival caters to independent filmmakers in the United States and has received recognition from the industry as a place to open films. In 2008, Sundance exhibited 125 feature-length films from 34 countries, with more than 50,000 attendees. The name Sundance comes from his character, the Sundance Kid. 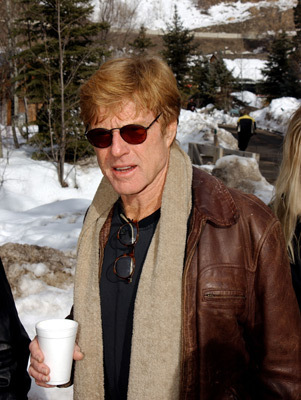 In addition, Redford owns a celebrated restaurant called Zoom, located on Main Street in the former mining town of Park City. Since founding the nonprofit Sundance Institute in Park City, in 1981, Redford has been deeply involved with independent film. Through its various workshop programs and popular film festival, Sundance has provided much-needed support for independent filmmakers. In 1995, Redford signed a deal with Showtime to start a 24-hour cable TV channel devoted to airing independent films—the Sundance Channel premiered on February 29, 1996. Redford with New Mexico Governor Bill Richardson in 2009. Redford is politically liberal, and has supported environmentalism, Native American rights, and the arts. Most of his federal political contributions have been to Democrats (61%) or advocacy groups (34.6%), such as the Political Action Committee of the Directors Guild of America. However Redford has on occasion also supported Republicans, including Brent Cornell Morris in his unsuccessful 1990 race for Utah's 3rd congressional district seat. Redford also supported Gary R. Herbert, another Republican and a friend, in Herbert's successful campaign to be elected Utah's Lieutenant Governor, and is currently the Governor of Utah. He is an avid environmentalist and is a trustee of the Natural Resources Defense Council.